From great coffee and cake with friends to private functions in Meads, Mugshots is a versatile venue with its own in-house band! Mugshot Cafe/Deli was born because of a passion for photography/art and its fuel Coffee. Mugshots aims to deliver a unique and personal experience to its customers by offering a comfortable area to relax and enjoy a coffee, with the opportunity to engage in the environment and with other patrons. A home away from home with a warm and friendly atmosphere awaiting your visit. Mugshots focus is to get to know the local community. 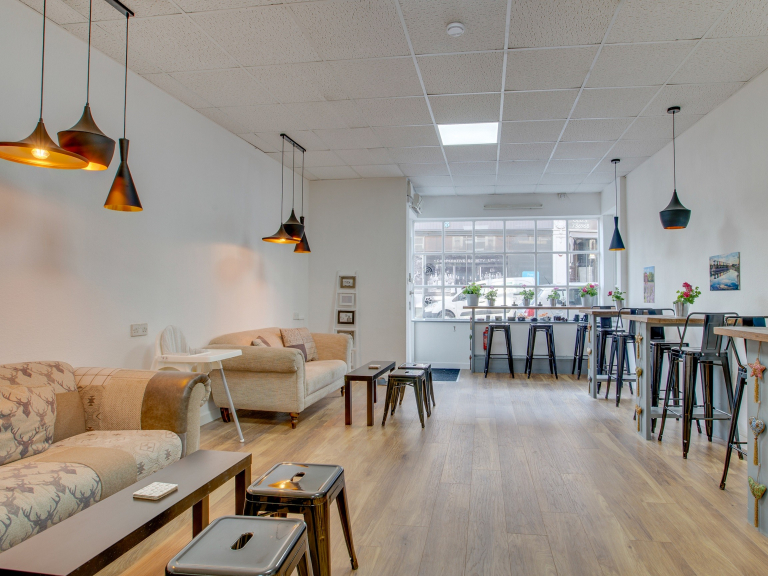 The coffee shop and gallery is an informal and flexible space which can be conveniently adapted for creative working, studying, private hire and meetings. This is In addition to the front of house cafe space where our customers and clients can meet with family, friends, colleagues, dine alone or take away without the necessity to pay cover charges. The vision will always be to welcome and connect with new customers while developing and maintaining good relationships within the local community. Mugshot Cafe wants to continually offer an exciting environment and therefore will always plan regular group events such as photography meets, book groups, networking seminars, quiz nights and tailored events for singles, families and students to name but a few.